XSharp (X#) is a .Net version of the familiar xBase language. It supports multiple dialects of xBase. The "core" language can be seen as C# with an xBase syntax. Other supported dialects are VO/Vulcan, FoxPro, dBase, Xbase++ and Harbour Each dialect adds its own special types All dialects (expect core) support the xBase RDD system with support for many xBase file formats such as DBF/DBT, DBF/FPT and DBF/SMT and index formats NDX, NTX, MDX, CDX, IDX, NSX etc. Many companies have invested dozens or even hundreds of man years in applications written with one of these xBase languages. Unfortunately almost all of the xBase languages are "dead" and are no more being maintained by their owners. X# wants to fill this hole and help developers stretch the life time of their applications and bring them forward to the .Net platform, and with that also from the Windows PC to other environments, such as Linux with Mono, Mobile and more. We have created the X# compiler on top of the Roslyn codebase, the source code behind the C# and Visual Basic compilers. By doing that we can guarantee that the generated code is of good quality and that the generated assemblies can be used on different platforms. The X# project has started in September 2015 and is now in its release phase. Recently a beta has started for X# 2, aka Bandol. This beta adds runtime components to X#. They are all experienced developers that have extensive knowledge and experience with the xBase language and with creating compilers, VS integration and a runtime. X# is open source, and can be downloaded for free from our website www.xsharp.info. All you have to do is to create a user account. X# also comes with a support plan called Friends Of Xsharp (FOX). Subscribers to the support plan get direct support from the development team and get more frequent updates of the product. 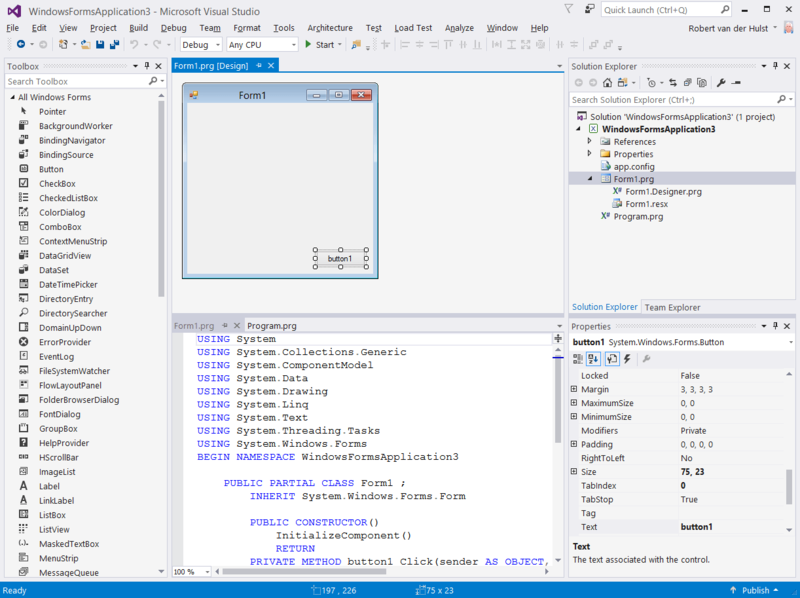 The source code to the runtime and Visual Studio integration is available in our public repository on GitHub. The source code to the compiler is available for FOX subscribers in a private repository on Githib.